In a recent guide I showed you how to answer a call with a Samsung Galaxy S3 Android powered Smartphone and I also explained how to reject the call. Now however I'm going to explain how you can take a 3rd option of rejecting a call whilst also sending a message, that may be able to explain why you didn't answer the call. and, more importantly for this guide, an option at the bottom. 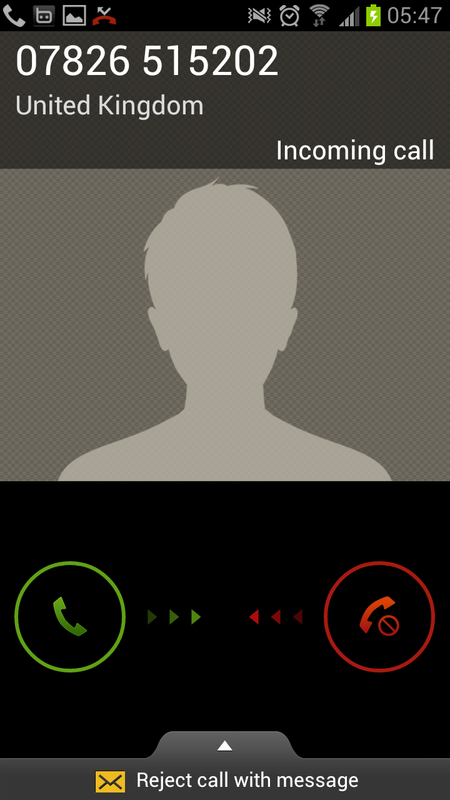 If you look carefully you will see the option at the bottom says "Reject call with message". If you click the option at the bottom you will notice that a short list opens up over the call screen with a number of relatively often used excuses for not answering the phone. 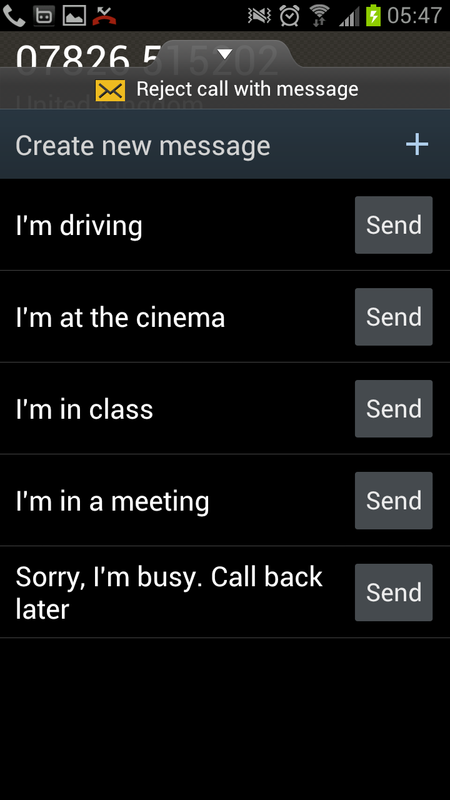 If you press on one, the call will be rejected whilst the caller will be automatically sent the corresponding message. So for example imagine if Dave rings whilst you're driving. Instead of rejecting the call (which Dave may find as you being rude) you instead click the "Reject call with message" option then select "I'm driving" so Dave gets the message. It's easy and it's quick, an excellent little feature that may well help you avoid annoying your friends whilst also not getting you into trouble elsewhere.